Performance yacht builder Donzi is focused on super sporty performance, yet is a luxuriously designed express yahct. The 39 ZSC model is one of kind in its class. 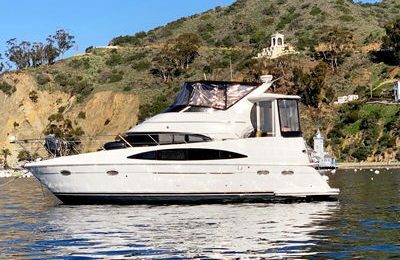 You will love this sleek and solid exterior design yacht as soon as you board the boat. The cockpit area is built of top of the line real hard wood and leather to offer a welcoming sitting area, great for entertaining. Chill out with glass of cold champagne from the wet bar, then turn on the state of art sound system, a fun party over the water is right ahead. 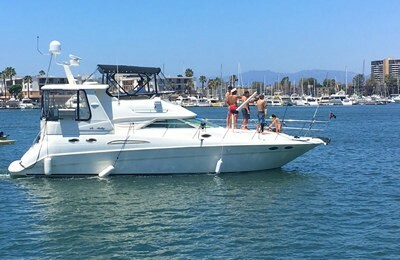 Start your exciting journey out of Newport beach harbor, one of the most beautiful marinas in southern california, cruise smoothly through the famous water front multi millions residence area, then speed up into the blue ocean. Avalon at Catalina is about 1.5 hours each way, enjoy water sports in Avalon, swimming or snorkeling in the crystal clear water, have a lunch in one of the fine restaurants over Avalon Marina, walk down to the famous casino,enjoy panoramic view from the island to Mainland. 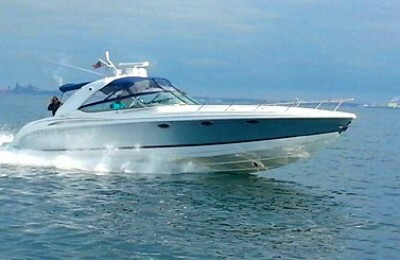 A 40′ Donzi 39 luxurious sports cruiser in excellent condition. Standard departure time is 9:00 am from Newport beach, Come back before dark. 8 hours from leaving the dock. Standard depart time is 9:00 am, come back to harbor before dark. Handling this powerboat is available upon request. Snorkeling, deep sea fishing, swimming is also possible, boat equipped with 2 fishing poles and 1 paddle board, snorkeling mask is also included.